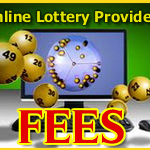 Pricing is one of the crucial factors when buying lottery tickets online. If you are a seasoned lottery enthusiast, you probably have already conducted your research and know the differences in pricing from one platform to another. If you have $50 and you want to purchase Powerball tickets, the number of tickets you will get varies depending on the platform where you make the purchase. 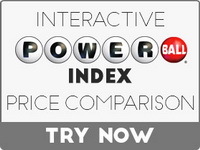 To save you the uncertainty of not knowing how many Powerball tickets you can get with your budget, we created our Powerball Index which is very accurate. This index emphasizes the online lottery sites and gives you the final numbers saving you from making complex calculations. How to Choose the Right Place to Buy US Powerball Tickets? If you are playing Powerball from the US, a ticket will only cost you $2. However, for international players, the story is a little bit different because you have to go through an online lottery which adds its commission to the ticket price. A single Powerball ticket will cost you more than $2 depending on the platform you choose. – TheLotter sells you 10 Powerball tickets at $50. – AgentLotto, LottoKings, BuyLottoOnline, and some other platforms sell a ticket at $5. – GiantLottos sells you 9 tickets for $50 while LottoBooker sells a Powerball ticket at $6.25. By giving you this breakdown, we save the time you would spend hopping from one website to another in search of a better deal and instead make better use of your time analyzing the numbers to play. The reliability of our Powerball Index results is due to the simplicity of our algorithm calculations. In creating the index, we just divided the number of tickets that can be purchased online by the number of tickets that can be bought for the same amount in the United States. A higher index number means more affordable Powerball tickets. Our compiled list of lottery sites shows the affordability of the Powerball tickets on each site in descending order. Also, we have included a link to the official lottery websites, making it easier, cost-effective and more convenient for you to purchase Powerball tickets. With our customization options, you can quickly sort the order of appearance based on your most important criteria such as ticket amounts, single line price or the Powerball Index. If you love visuals, we have included a Powerball Index graph that uses bars and colors to show you the online sites that are closest to the US Powerball ticket price. Blue and green are the most favorable indices while those in red are the less favorable ones. But the price is not the only factor to bear in mind when picking an online lottery service. There are some platforms whose tickets are relatively expensive, but carry special discounts and bonuses for their members. This means if you purchase tickets from such sites, you can enjoy loads of benefits. 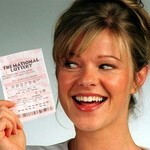 It can be very confusing comparing all the different upfront versus other benefits that online lottery platforms offer. The idea of this index is to provide a place where you can choose what service meets your individual needs and the way you want to play! Many of the lottery sites we have included in our list have a pre-checked subscribe button that you can uncheck if you do not intend to subscribe to the particular site. Failure to unclick means your account will be charged a monthly fee for a subscription. It is essential for you to read the terms of service before confirming your selection. This is because some sites may without your knowledge automatically sign you up for a subscription. Based on the fact that prices differ depending on the lottery site you’re considering, we would conclude that if you live in the United States, purchase your Powerball ticket at your local retailer or convenient shop. If you are playing from outside the US, go through the site options and pick the one that best suits you.